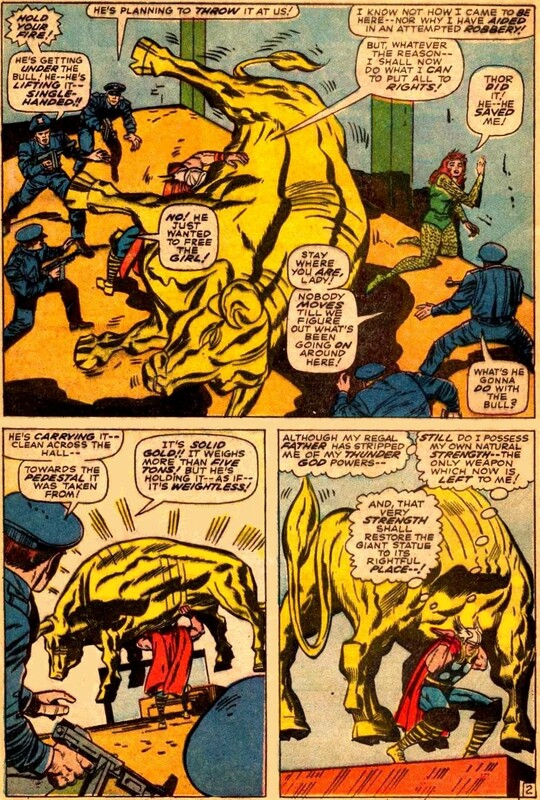 The Daily Kirby: POSSIBLE LEE PLOT SYNOPSIS: THOR DEALS WITH A LOT OF BULL. POSSIBLE LEE PLOT SYNOPSIS: THOR DEALS WITH A LOT OF BULL. I just want to point out that, in all likelihood, it was Kirby who came up with this scenario. Both the bull and the gold it's made of are strong mythological elements, and despite what Lee may have claimed, it was Kirby who had the interest in mythology.